Click here for a Free Instant Market Report of Homes Actively For Sale, Under Contract and Sold Over the Last 6 Months for Homestead...one of Denver's most popular neighborhoods. The Homestead neighborhoods in Centennial, Colorado offer open space greenbelts, recreational facilities, jogging and bike paths for the neighborhood’s exclusive use. Maintenance and operation is provided by the Homestead Homeowner’s Association in which membership is included with the purchase of a Homestead home. The Association also helps to protect property values by establishing and maintaining high standards of architectural control, enforced through the Architectural Control Committee. Various events directed by the Social Committee are scheduled throughout the year. Gala celebrations are held during Memorial Day, Fourth of July and Labor Day weekends. Included are trike and bike parades, pool games and barbecues. The Tennis Committee organizes tennis tournaments and coordinates United States Tennis Association leagues. The kids especially enjoy Homestead swim teams. Expenses are met by moderate annual dues. Homestead in Centennial, CO has three areas which are Homestead in the Willows, Homestead Farm and Homestead Farm II. All are quality built by Sanford Homes. Homestead in the Willows is in Cherry Creek School District. Homestead Farm and Homestead Farm II are in Littleton School District. 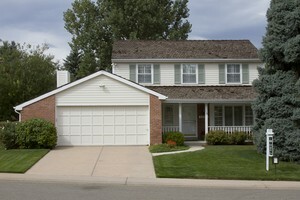 For more information on living in Homestead, one of the best neighborhoods in Centennial, CO, go to the Homestead Blog. Be sure to check out in our side-bar to the right the models and floor plans built in Homestead by Sanford Homes. What's My Homestead Home Worth?